Hailing from Italy, the highly polished and round mosaic tile comes ready to apply with a mesh backing. Carrara White Penny Round features an interlocking pattern to give additional interest to the frosty white with gray veining mosaic. 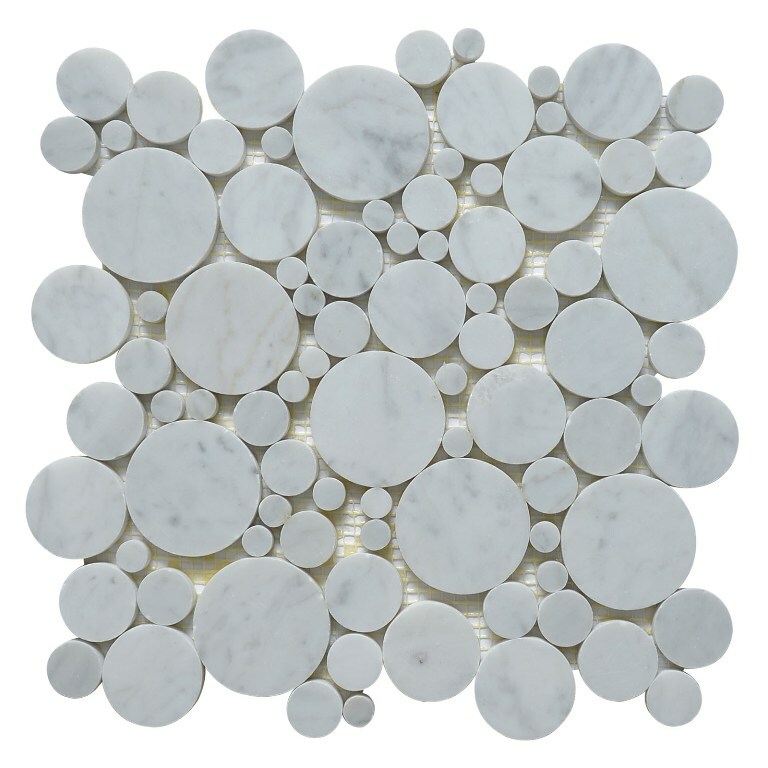 Add a splash of contemporary styling to your decor with the Carrara White 11x11 Penny Round Polished. This attractive wall and floor tile features seemingly random pieces of tile on a 11 in. x 11 in. mesh sheet that makes installation a breeze. With elegant white shades of natural marble in a smooth polish finish, this tile creates a distinct pattern for kitchens, bathrooms and other residential or commercial spaces.